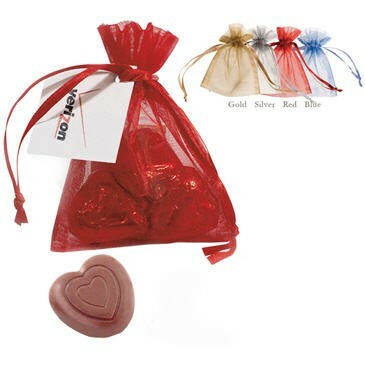 Just imagine our exquisite Custom Chocolate Hearts (step & repeart) beautifully packaged in elegant Organza Pouches. They make the perfect chocolate favor for any type of event. Add Custom Hang Tag for an additional $0.99 per bag. No SETUP FEE. Price per bag of 3 Hearts is shown below.